“Years in the making, this spellbinding, heartbreaking, and, ultimately, uplifting narrative is an indelible portrait of 9/11. Fall and Rise masterfully weaves together the interrelated strands of the events in New York City; in Washington, D.C.; and in Shanksville, Pennsylvania, to create the first minute-by-minute history of that horrendous day. 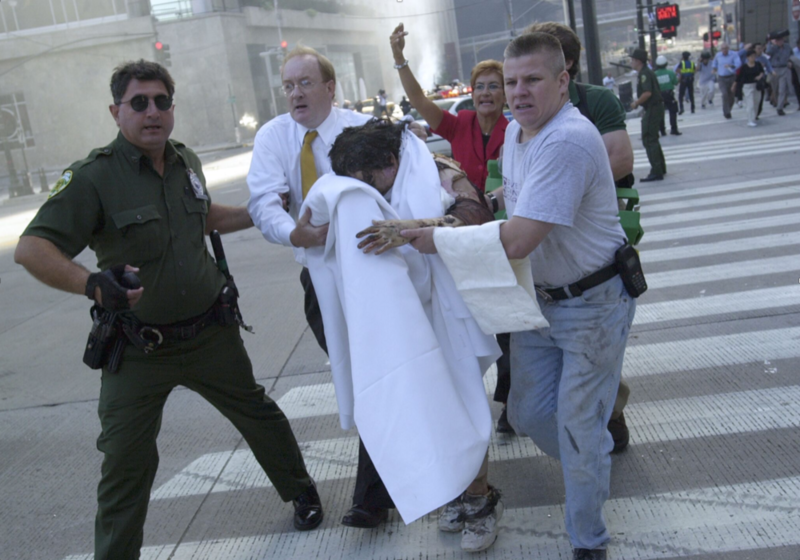 “In the hours, weeks, and months after 9/11, Mitchell Zuckoff, then a reporter for the Boston Globe, wrote about the attacks, the victims, and their families. After years of meticulous research and reporting on that infamous day, Zuckoff has filled Fall and Rise with the voices of the lost and the saved. “The result is an utterly gripping book, a telling of some of the most intimate stories of people irrevocably affected by the events of that sunny Tuesday morning in September 2001: an out-of-work actor stuck in an elevator in the North Tower of the World Trade Center; the heroes deciding to take action aboard Flight 93; a veteran trapped in the inferno in the Pentagon; the fire chief among the first on the scene in sleepy Shanksville; a team of firefighters racing to save an injured woman and themselves; and the men, women, and children in planes flying across the country to see loved ones or for work who suddenly found themselves among terrorists bent on murder. Kate D’Esmond, HarperCollins Director of Publicity, at Kate.Desmond@harpercollins.com or (212) 207-7362. Richard Abate of 3Arts, at rabate@3arts.com, or (212) 213-4245. Jamie Brickhouse, CEO, redBrick Agency, at jamiebrickhouse@redbrickagency.com, or (646) 281-9041.